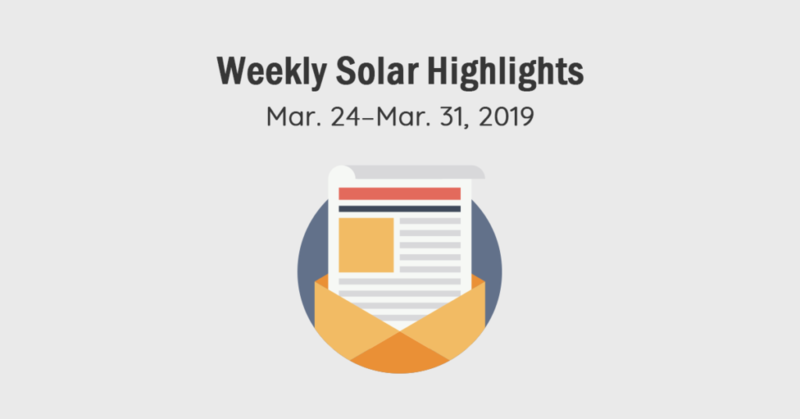 Leading U.S. corporations launch corporate Renewable Energy Buyers Alliance; three new utility-scale power plants for Florida; a 2.6-gigawatt solar project launch in Saudi Arabia and a string of off-grid solar news from Africa feature in this week’s Solar Magazine news highlights. A group of leading multinational corporations, including Google and General Motors (GM), along with non-profit organizations, have formed an alliance to boost renewable energy in the U.S.. The Renewable Energy Buyers Alliance will work to increase deployment of renewable power by companies from around 16 GW today to 60 GW by 2025 by helping them take advantage of new deal structures that enable them to support renewable energy projects directly , according to a news report. Google, GM, Walmart and others have been instrumental in opening up U.S. state power markets to direct, corporate purchases of renewable energy from utilities and independent power producers. In association with that, they’ve been key players driving development new, financial structures and vehicles, such as corporate power purchase agreements and utility green energy programs, via which they underwrite new solar and wind power installations and other renewable energy projects. U.S. companies entered into renewable energy deals that support nearly 16 GW of new capacity last year. REBA aims to boost that to 60 GW by 2025. “That is a lot of renewable energy. It’s roughly equal to all the solar photovoltaic power capacity available across the U.S. in 2018,” the news report highlights. REBA corporations and non-profits aim to enable tens of thousands of companies do similarly. Around 5,000 companies have made use of such ways and means to date, according to the news report. “This is really about bringing as many players to the market as possible and giving everyone access to clean energy,” Google’s head of energy market strategy Michael Terrell was quoted. REBA builds upon programs supported by nonprofit organizations the Rocky Mountain Institute, World Wildlife Fund, World Resources Institute and Business for Social Responsibility. U.S. regulated utility Duke Energy Florida will build, own and operate three more solar power plants, total 195 MW, in its service territory, according to an industry news report. The Lake Placid Solar Power Plant will be built on 380 acres in Florida’s Highlands County. 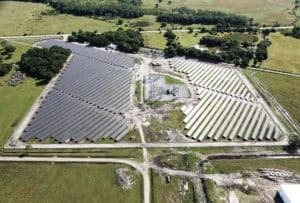 Duke Energy Florida will install some 180,000 tracking solar panels in building the 45-MW plant, which is expected to come online this December 2019. The utility acquired the project’s development rights to from EDF Renewables. Spanning some 580 acres (234.8 hectares), the 74.9-MW Trenton Solar Power Plant will make use of 280,000 tracking solar panels capable of producing enough carbon-free energy to power more than 23,000 average homes at peak production, according to the report. It’s expected to come online this December, as well. Duke Energy Florida acquired the development rights to the project from Southeast Solar & Power LLC. Built on 445 acres, the 74.5-MW DeBary Solar Power Plant will be built on about 445 acres (180.2 hectares) and make use of approximately 300,000 fixed-tilt solar panels, capable of producing enough zero-emissions energy for more than 20,000 average homes at peak production. It’s expected to come online in March 2020. Duke Energy Florida developed the project on company-owned land in the city of DeBary. More broadly, Duke Energy Florida expects to invest an estimated USD1 billion to construct or acquire a total of 700 MW of cost-effective solar power facilities through 2022. The utility previously announced its 74.9-MW Columbia Solar Power Plant which is expected to be completed in March 2020. Together with the three new projects, Duke Energy Florida will have nine solar power plants in operation by the end of 2020’s first quarter, management highlighted. 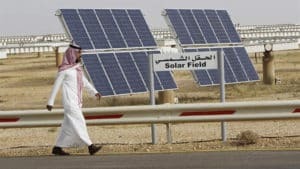 A massive, 2.6-GW solar project is set to get underway in Saudi Arabia’s Makkah region, home to Islam’s two most important mosques, the Al-Haram Mosque in Mecca and the Prophet’s Mosque in Medina . Saudi Arabia’s Ministry of Energy and the Makkah Region Development Authority will carry out what has been dubbed the Al Faisaliah Solar Project, according to an industry news report. The solar power farm is to provide peak-period electricity to Al Faisaliah City and across Saudi Arabia’s Western region in order to enhance the efficiency and reliability of grid power. Saudi Arabia’s Public Investment Fund and partners to develop 2 GW of the project. The other 600 MW is to be tendered in an auction by the Renewable Energy Projects Development Office (REPDO) later this year. A January report said that REPDO would tender 2,225 MW of solar projects this year and that REPDO upgraded its long-term solar target to 20 GW by 2023 and 40 GW by 2030. 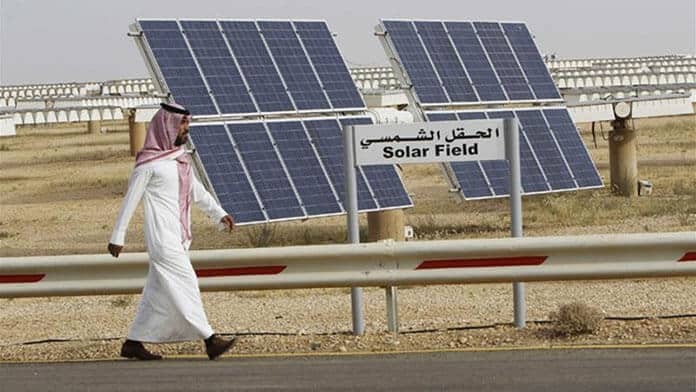 The Al Faisaliah Solar Project “MoU is in line with the vision of the Kingdom of Saudi Arabia 2030, and within the efforts of the Ministry of Energy to diversify the energy mix to reach a sustainable mix that benefits from renewable energy sources, in addition to optimizing the use of hydrocarbon and mineral resources to achieve sustainable development of the national economy,” Saudi Arabia’s Ministry of Energy explained in a press release. More broadly, Saudi Arabia is aiming to deploy 27.3 GW of renewable power by 2023 and 58.7 GW by 2030. The government announced the country’s wind power project in January, the news report pointed out. 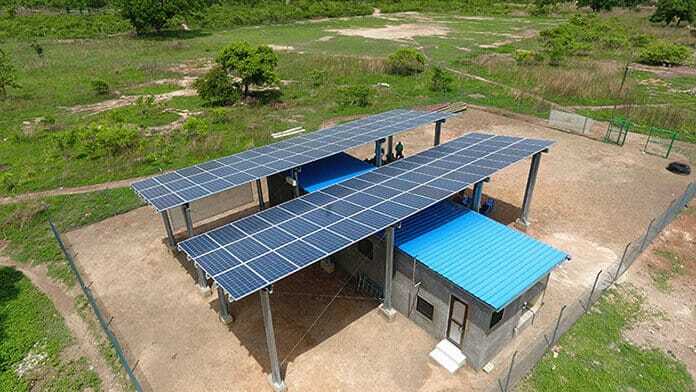 The African Development Bank (AfDB) approved USD20 million of financing for clean energy mini-grids in the Democratic Republic of Congo (DRC) to deploy renewable energy mini-grids of 3-10MW capacity in three cities currently off the grid. AfDB is also providing a USD1 million Sustainable Energy Fund for Africa (SEFA) grant to the DRC government to pay for advisory services for leading to the procurement of solar photovoltaic (PV) mini-grid systems, according to an industry news report. The DRC’s distribution utility grid covers just 10 percent of the country, the news report highlights. Just 10 percent of urban and 1 percent of rural residents and businesses are connected to the national grid, which isn’t known for its efficiency, reliability or low cost. Instead, Congolese rely on a mix of energy resources, such as diesel-fueled generators, used car batteries, kerosene and charcoal. The DR Congo Green Mini-Grid Program is to deploy mini-grids that will serve the cities of Isiro, Bumba and Genema and serve as pilot projects paving the way for a nationwide electrification program that scales up to off-grid cities with several hundred thousand residents. Mini-grids are expected to provide safe, affordable and reliable power to 21,200 households and 2,100 SMEs and public buildings, benefiting at least 150,000 people as a result of the Green Mini-Grid Program. AfDB’s financing adds to support from the U.K.’s Essor — Access to Electricity (A2E) initiative, a technical assistance program that supports mini-grid auction and project preparation in the DRC. The Board of the U.N.’s, World Bank-administered Green Climate Fund (GCF) approved USD21 million for the program in October 2018. India’s Export-Import Bank (Exim) recently announced it would provide USD83.11 million in credit lines for the DRC government to build three solar PV power plants with a combined capacity of 35 megawatts (MW), the news report notes. Great Lakes Energy is building two solar-plus-storage mini-grids and an area lighting system for the Mahama refugee camp project in Eastern Rwanda that is home to more than 50,000 Burundian refugees , according to a news report. The refugee camps can be dangerous places, especially at night. Installation of the solar-powered mini-grids and area lighting systems should go a long way to improving safety and security and enable refugees to go out into the night — to shop, socialize and for children to play football or basketball, the news report highlights. Refugee interns were trained and then worked alongside Great Lakes Energy team to install the solar-storage mini-grids and lighting. They’ve now become company employees. Mahama is Rwanda’s sixth, latest and largest refugee camp. Rwanda is small compared to its neighbors and it’s densely populated. Its refugee camps are home to some 164,561 refugees, mostly from Burundi and the DRC, the news report highlights. This project inspired the refugee mini-grid, according to the news report. Ghana’s government has raised USD230 million for a renewable energy mini-grids project that entails deploying the systems to provide sustainable, low-carbon electricity to 55 isolated, island communities on Lake Volta with no or limited access to the national grid by 2020. Five mini-grids were up and running as of March 12, Robert Sogbadji, deputy director of Alternative Energy at the Ministry of Energy, was quoted in a news report. Three more, for the Lake Volta island communities of Aflive, Alokpem and Azizakpe, are expected to be operational by year end. The Volta River Authority (VRA) is managing the project under the umbrella of the World Bank’s Scaling-Up Renewable Energy Programme (SREP) with funding provided by the Strategic Climate Fund, one of the Climate Investment Funds managed by the World Bank. One of the minigrid systems installed by the government at Kudorkope near Ada. | Photo: Graphic Communications Group Ltd.
About 17 percent of Ghana’s population lacks access to electricity services. Nearly 3 million reside in island and lake shore communities on the Volta River, according to the news report. Project partners are looking to the solar-storage mini-grids to improve the lives and livelihoods of local residents cost-effectively. Extending the national grid to the regions isn’t economic, according to the government. Preserving fish for sale, and providing reliable access to media — radio, television, wireless and Internet services, are just two of the socioeconomic improvements the renewable energy mini-grids can convey. Then there are the human and environmental health benefits of displacing residents’ use of energy resources they have been relying on, such as kerosene, diesel, charcoal, etc.. The mini-grids will also help Ghana fulfill its U.N. Paris Climate Agreement commitments. 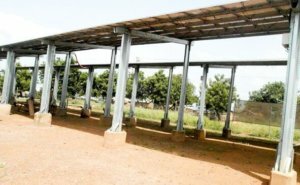 “We have realized that if we use renewable energy for such communities, it will be less expensive because the pricing policy in Ghana is such that everybody pays the same tariff in spite of the fact that generating electricity for island communities is a bit more expensive,” Sogbadji was quoted. The off-grid solar community is beginning to come to the grips with the prospect of growing amount of e-waste as solar PV systems are retired and taken down. More than 120 million people have been or are benefiting from off-grid solar energy access around the world since 2010 , according to industry association GOGLA. Some in the industry have been raising concerns regarding disposal of off-grid solar PV and battery energy storage system components once their replaced or shut down. Their disposal poses serious human and environmental health and safety risks if not managed properly, they highlight. Off-grid solar sector waste volumes were almost negligible in proportion to the quantity and environmental impacts of the total e-waste stream, which has been growing by leaps and bounds worldwide in recent decades, according to a 2016 research report produced by Sofies in collaboration with U.K. development bank DFID. 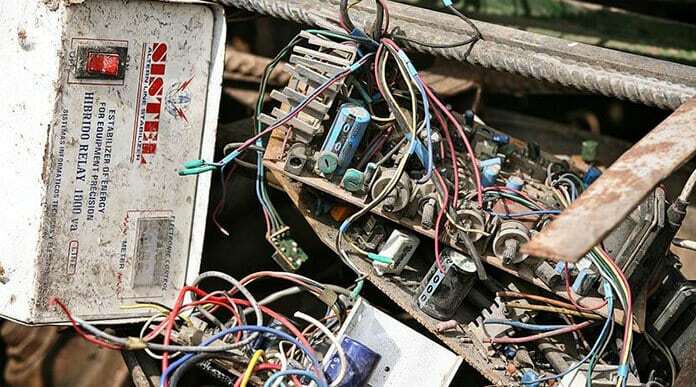 The sector’s waste stream in East Africa rose to 800 metric tons of a total e-waste stream of 460,000 metric tons of what’s officially deemed Waste Electronic and Electrical Equipment (WEEE) in East Africa in 2014. The percentage of off-grid solar e-waste in Kenya rose to account for 3 percent of Kenya’s total e-waste stream in 2017. Technological innovations are enabling off-grid solar project owners and operators to extend the life of products and systems. In addition, remote, digital tracking systems are enabling them to improve their ability to collect off-grid solar energy system components for repair, reuse or recycling. 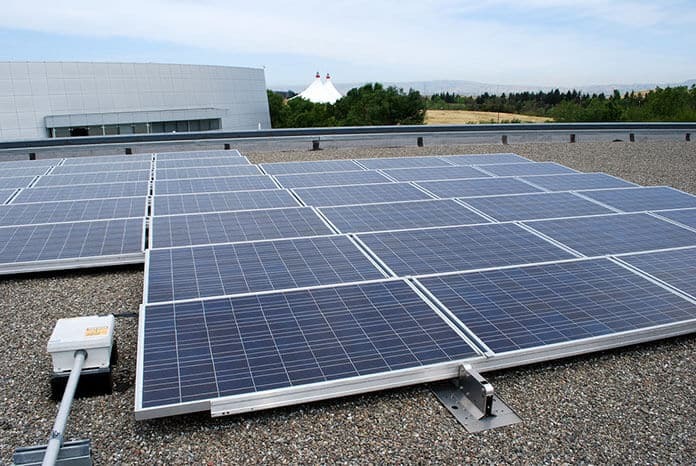 GOGLA began promoting socially and environmentally responsible off-grid solar products’ disposal widely in 2014 by advocating for establishment of a voluntary Extended Producer Responsibility program . GOGLA and industry players addressed the issue in January 2018 during the Global Off-Grid Solar Forum in Hong Kong, GOGLA points out. In April 2018, GOGLA, M-KOPA and CDC organized an industry workshop to discuss the status, challenges and opportunities for improved e-waste management. The GOGLA e-waste Working Group was launched and production of an industry e-waste toolkit project proposed as a result. Market leaders have established e-waste management operations and partnerships that in some cases have resulted in a high percentage of off-grid solar energy systems’ components that have reached their end of use to be refurbished, reused or recycled, according to GOGLA. Large gaps remain both in terms of categories of components and geographic penetration, however. 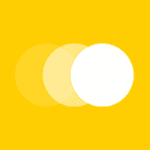 “Companies like Mobisol have products with an integrated PAYGo payment mechanism and enjoy a close relationship with their customers, allowing them to remotely monitor performance. In continuously keeping an eye on the system, the company manages to involve itself in preventative maintenance, replacement of parts and collection of products at end-of-life. Additionally, the company has also been setting up recycling networks for all the components, including the batteries,” GOGLA highlights.